You can help out too! Volunteers are always needed and GREATLY appreciated. 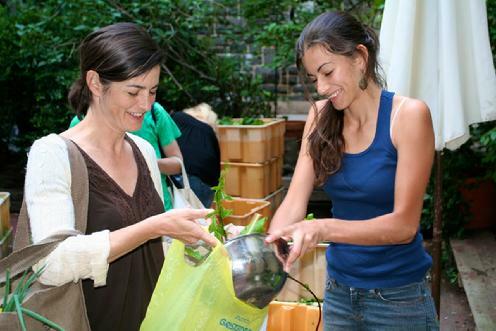 Volunteering: We believe it is important to encourage community involvement in the food system. Because of this, and the fact that we simply couldn’t operate without your involvement, each share - whether it's a Small or Large Veggie share - MUST volunteer for 3 'shifts' at the site over the course of the season. As many of you know, having members who assist with distribution really makes our site run smoothly and efficiently creating a wonderful CSA experience for everyone! This year there are 3 shift options, 2:30-4:15 PM, 4:15-6:15 PM, or 6:15-8:PM PM. If you are unable to volunteer during any of those times please contact Bernie ASAP at bernie@creamofthecropcsa.org to inquire about other ways you can contribute to our growing community from home! Members who are pregnant, have recently given birth or have a newborn and are also unable to send a babysitter/spouse or share partner, can request an exemption by contacting volunteers@creamofthecropcsa.org. Please know that volunteering off site from home is also available and encouraged! Opportunities for off-site help are e-mailed to all members periodically throughout the season but it’s best to notify bernie@creamofthecropcsa.org as soon as possible as positions are filled on a first come first served basis. All shift volunteers assist the site coordinators to help make sure the distributions run smoothly each week. We have several volunteers per shift, in addition to our several coordinators; so volunteering is fun, easy and as stress-free as can be! The Early shift (from 2:30 - 4:15PM) This shift is all about setting up the site and may or may not involve some heavy lifting to weigh or move boxes of produce around. Other duties include, counting, sorting and separating items. THIS SHIFT INVOLVES LITTLE TO NO LIFTING SO IF YOU HAVE ANY TYPE OF PHYSICAL LIMITATIONS OR WANT TO BRING YOUR YOUNG CHILD TO HELP OUT, THIS IS LIKELY THE BEST SHIFT FOR YOU! 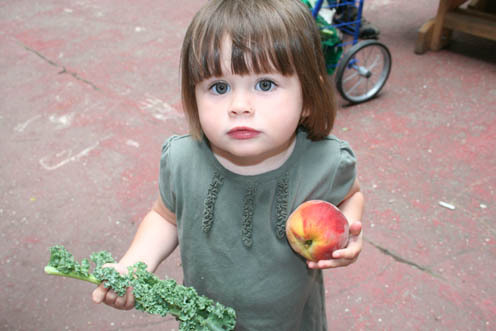 Help weigh out produce and present for members to collect. Check in members collecting veggies or fruit. Bring any unclaimed items in storage bins to the food pantry in the church. Clean and put away signs, scales, etc. Put tables, benches and any other items that were moved during distribution back in place. Sweep the grounds clean, making sure the site and check in area are as clean as possible and ready for future users of the space. Please visit the Sign-Up page to select your Volunteer dates.